I love seeing all your entries for everyday in may!! 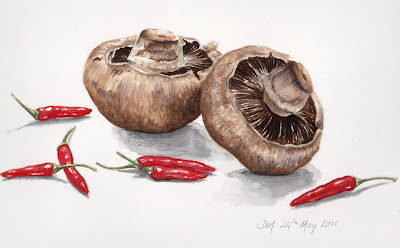 I am getting inspiration for some dish with mushrooms and chili, great combination, and of course I love your painting, always so incredibly well done. Oh yeah, definitely few of my favorite ingredients to cook a good meal =) beautifully drawn!